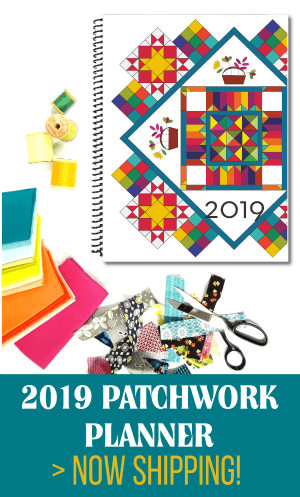 Today’s topic for our Quilting 101 or Pre-k Patchwork series is all about cutting strips and squares! This is a pretty basic shape, but if you get something wrong when you cut the strips it will send your project into problem mode. 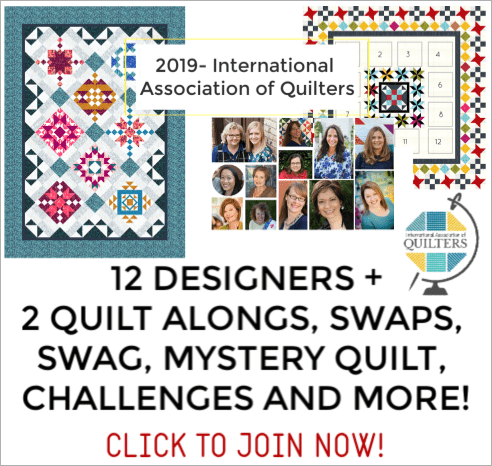 Things won’t line up, the quilt block might stretch….or you will find a ‘kink’ in the strip because the fabric wasn’t lined up right. Your fabric has a grain– this topic covered here. If you get your grain wrong you will find that your strips will stretch out of control, or you will end up with a little bump in the middle of your strip. 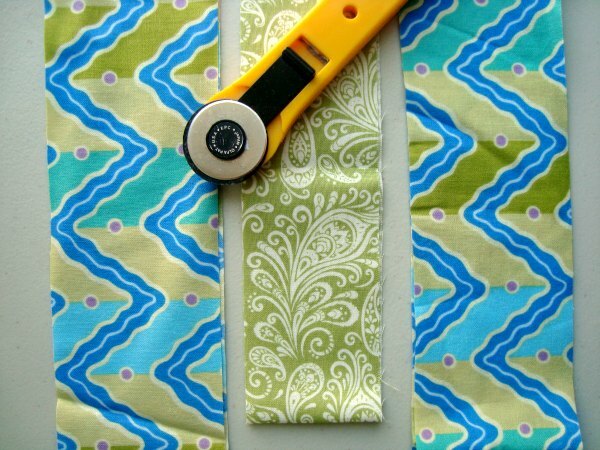 Step 1) Squaring up your fabric is very important in starting off your fabric strips. 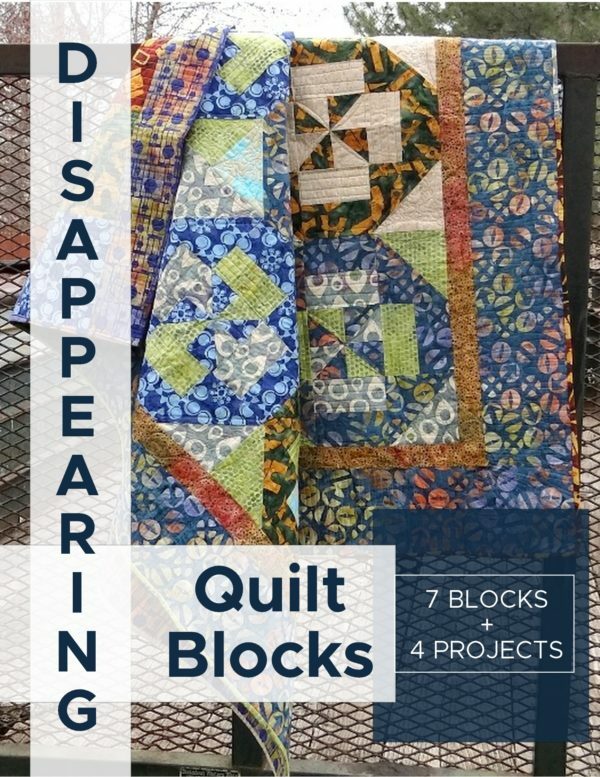 Head on over here for a quick review on how to get your fabric all squared up and ready to cut. Step 2) Lay your ruler on top of the fabric, lining up the measurement along the left edge. Step 3) Butting the blade right along side the ruler, make your cut. It’s possible for the blade to not follow what you’d like to to do. If you do make a mistake, the cut will be on the piece you are not going to use. This is becuase the ruler is protecting the piece you will keep. 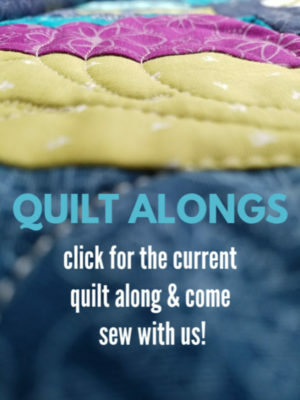 If this happens, trim off the fabric that has the wrong cut before cutting your next strip. Step 4) Repeat the steps until you have the fabric strips you need. 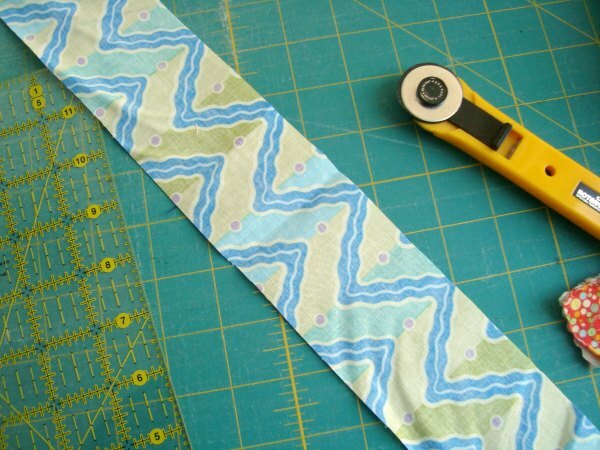 **Make sure that the top or bottom of the ruler is aligned with the top or bottom of the fabric….keeping it squared up. 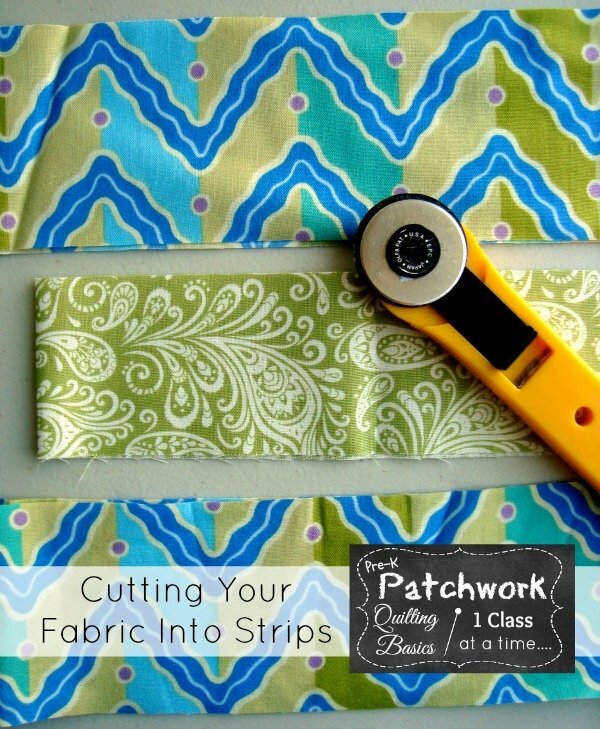 If you notice that your strips might be a little angular or something is ‘off’ square up your fabric again, trim off what is incorrect and start cutting strips again. **Make sure your hand that is not using the rotary cutter is holding the ruler down with some force. The ruler could slip, guiding the rotary cutter incorrectly. I hold my hand flat on the ruler, leaning into it a bit. My hand is also behind the cutter, never in front. That way if the rotary jumps the ruler, my other hand is not in the blades path. Re-align your strips, maybe layering a few so you can make a bunch of squares at the same time. Lay your ruler on top, lining up the measurement for the size of square you cutting. 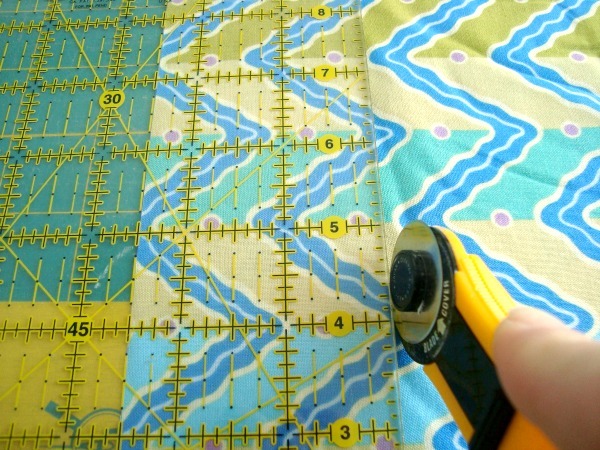 Q & A– Do you have a favorite ruler or technique for cutting strips? Have any suggestions you’d like to share? Leave a comment and start the conversation. 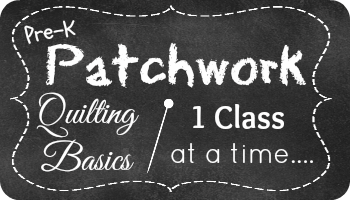 Follow along with the Quilting 101 series— Pre-K Patchwork. Every week there is a new topic! Sign up for email nudges and reminders. I love LOVE! your tutorials; really learning a lot! But for God’s sake, edit!!!! Edit!! Edit!! !